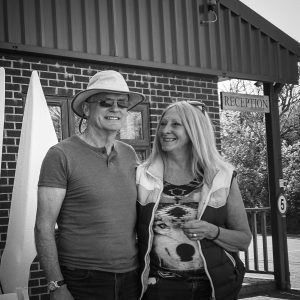 Stella and Bill Matthews were both born in the area and have plenty of local knowledge and will offer you a very warm welcome, 4 wardens also on site during the summer. 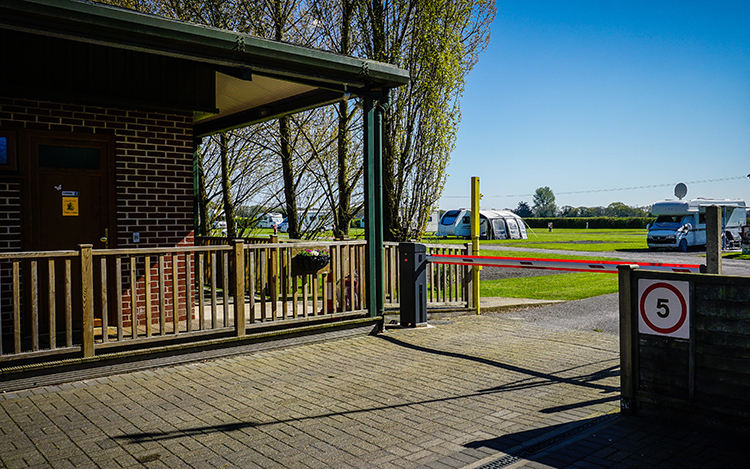 The Touring Park has security barriers to enter and exit the park and is situated at Netley Abbey close to Southampton, St Mary’s Football Stadium and the Ageas Bowl. The Park is only a 20min drive to/from the Portsmouth Ferry Port and Portsmouth Park and Ride which is very convenient for Gunwarf Quay shopping outlet and Historic Dockyard with its many famous ships. 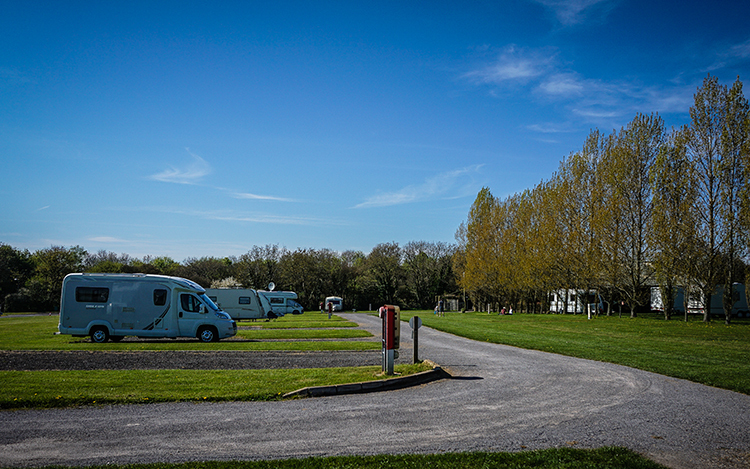 The caravan park has 41 level premier pitches (24 hard standing) with electric hook up, water and grey waste drainage. The Elsan chemical disposal point is situated by the recycling area close to the entrance barrier. 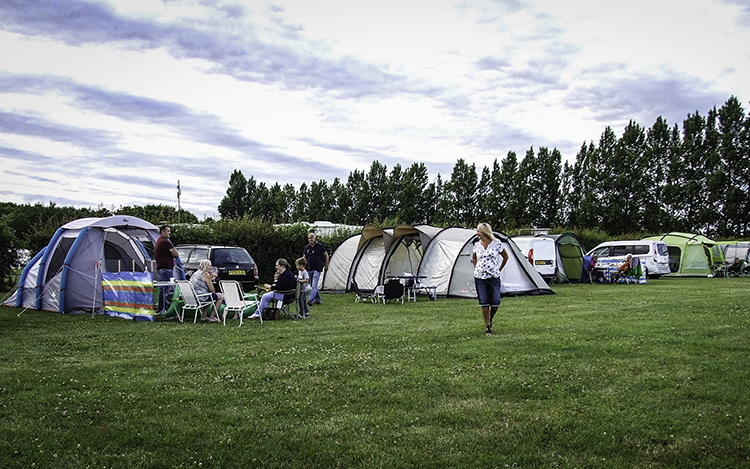 The site also has a separate camping field with electric pitches & non-electric pitches available and a dog walk. A safe and secure site with a car number plate recognition camera at the entrance barrier and CCTV. 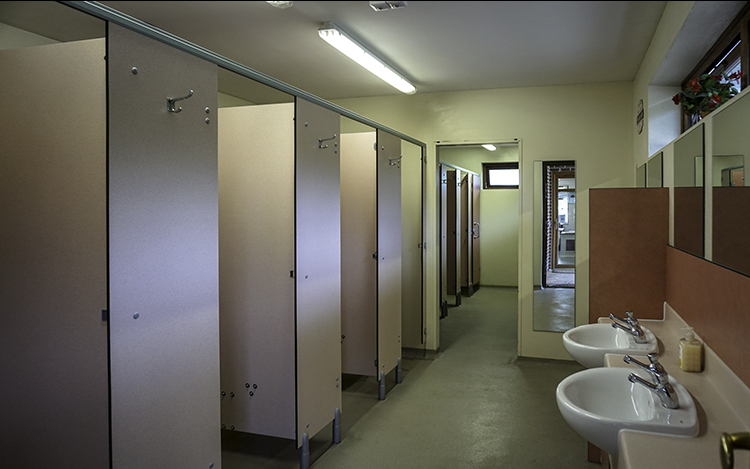 The modern toilets and showers have underfloor heating and 5 hand washing sinks and hand dryer. A hairdryer is available in the ladies for your use. 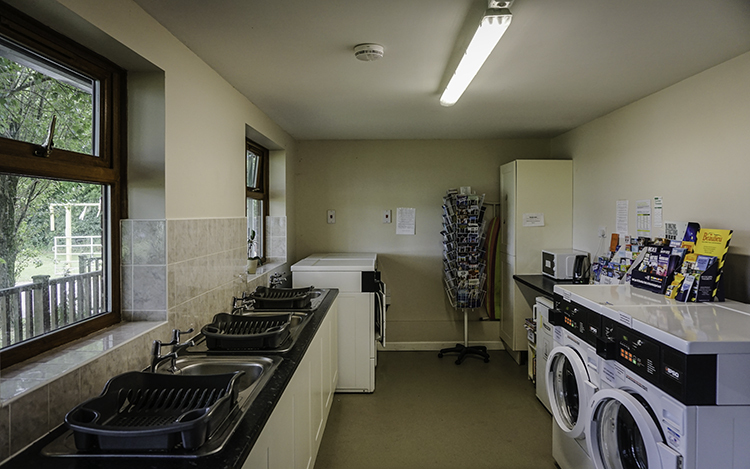 There is a modern laundry room with large capacity washing machines and tumble driers, dishwashing sinks with separate sinks for washing clothes. Also available is a microwave, kettle, freezer for ice packs, iron and ironing board. These are especially useful for those who are using our camping fields. Peaceful location for tents of all sizes, small campervans and family camping. No open fires but BBQ’s are allowed providing they are raised sufficiently off the ground. There are 5 pubs nearby, all within walking distance of the caravan park. 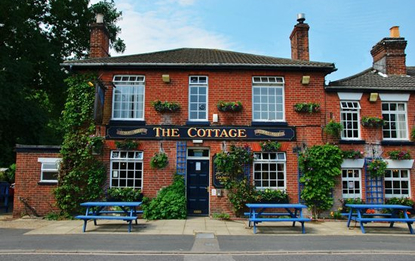 Two in Butlocks Heath, The Roll Call & The Cottage are about a 15min walk, The Netley Grange in Grange Road (10min walk), The Plough in Portsmouth Road and the Prince Consort in Netley. Dogs welcome in all except The Netley Grange. In Netley Abbey village there is an Indian and Chinese and both deliver to the site when you phone for a take away. There are four Fish & Chip shops nearby, Jolly Fryer in Netley, Oliver’s in Portsmouth Rd & 2 in Hamble Lane. There is a 24hr Tesco Extra Superstore a 5min drive away, also Lidl, Kentucky Fried Chicken and Costa Coffee is a 10min drive. In Woolston, Metricks overlooks the River Itchen which is a perfect location for breakfast, lunch or just a coffee break.